This extraordinary 32 CD nlp set was recorded live during one of John La Valle’s nlp Practitioner Intensives held in Toronto, Canada. 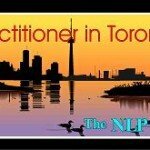 The nlp seminar ran for ten (10) days and is chock full of nlp information, nlp skills building, nlp applications, John’s consulting tips, and more. If you haven’t yet been able to attend nlp trainings, here’s your chance to still learn what you’ve always wanted to learn! !